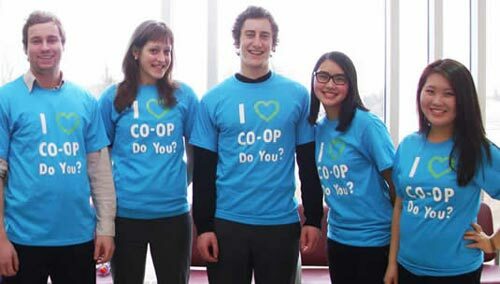 Students can earn money and bolster their resume by participating in co-op programs. Some co-op programs offer job search support services for international students. Sarb Majumdar, of Singapore, is a fourth-year management engineering student at the University of Waterloo in Canada. But if you go to Waterloo and search for him right now, you won't find him. He's in Toronto this term, working full time as a software developer. Majumdar is one of the many co-op students in Canada. In fall 2016, 20,792 of the University of Waterloo’s 30,997 full-time undergraduate students were enrolled in a co-op program, according to the university. In Canada, co-op students alternate between study terms and full-time work terms. Each generally lasts four months, but work terms of eight months or longer are also an option in some programs. 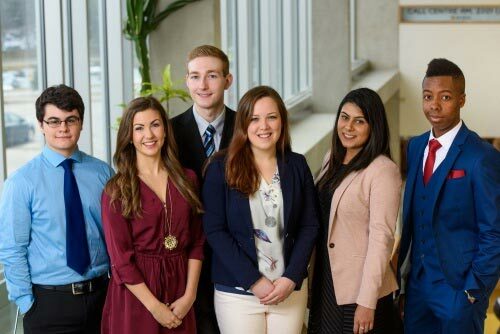 Co-op students have multiple work terms over the course of their studies – Majumdar is on his fifth – often during different times of the year and with various employers. By graduation, co-op students have amassed a fair amount of work experience. The Canadian Association for Co-operative Education, a nonprofit that accredits co-op programs, estimates that in 2015-2016, co-op students throughout Canada completed approximately 80,000 work terms. While undergrads in co-op programs take longer to graduate, since work terms can add a year or more to a degree program, students are almost always paid for their work. This can help them graduate with less debt. Students in co-op programs at several universities say their work terms have helped them figure out what field they're passionate about and provided valuable industry connections. Co-op is “really considered to be the most formal, the most rigorous experiential education-type program in a postsecondary institution,” says Harvey Weingarten, president and CEO of the Higher Education Quality Council of Ontario, a government agency that researches and makes policy recommendations regarding Ontario's colleges and universities. “Co-op is king,” he added. For prospective international students interested in Canada's co-op offerings, here are three factors to consider when researching different programs. • Accreditation: The Canadian Association for Co-operative Education provides a detailed definition of a quality co-op program. Anne-Marie Fannon, president of CAFCE, says key components of accredited co-op programs include work positions that are paid – with few exceptions – and that the school approves; employers who supervise and evaluate student performance; and a system where schools monitor students during work terms. The association has more than 80 member institutions, 36 of which are accredited, says Fannon. And most nonaccredited member schools adhere to as much of the definition as they can, she says. Prospective students can use CAFCE's co-op program directory to search for programs at the organization's member institutions in their desired province. If students learn that a program they're interested in is not accredited, Fannon says they should ask the school whether it still meets most of the association's co-op program definition. • Job search expectations: In addition to accreditation, the nature of a program's job search process is another aspect for prospective international students to explore. The process to land a co-op position is often competitive, just like a real-world job search. Students look for positions – sometimes in a university database – as well as refine and submit resumes and conduct interviews with prospective employers, all while juggling a regular academic course load. Students can inquire about support available for job-seeking co-op students and whether any additional services are available for international students. Fannon says such services exist at some schools. They could include a class that helps nonnative English speakers prepare for an interview or staff who offer guidance about the process to obtain a work permit, which international students will need for full-time, off-campus positions. Majumdar says when he arrived on campus he had little to no job experience and didn't know what a resume looked like. He says sitting down with an adviser at Waterloo to discuss resume writing "was a really helpful first step for me in my first year." Peggy Jarvie, associate provost, cooperative and experiential education at the University of Waterloo, says it sometimes takes international students a little longer than others to land their first co-op job. “But the employment rate, at the end of the day, is about the same as for domestic students," she says. • Job types and locations: Weingarten says students should also ask about which organizations previous co-op students worked for as well as the nature of the work they did. Prospective international students may also want to explore whether they can apply for co-op jobs outside Canada – perhaps even in their home country. Jarvie says international students at Waterloo sometimes return to their home countries for their first work term, often because they want to spend time with family. Majumdar has held jobs in Waterloo and Toronto, and he's taken work trips to places such as New York City. 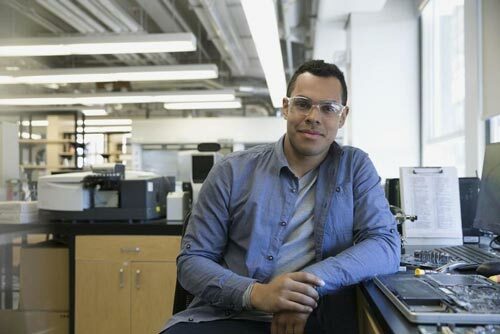 "I get to experience different companies, different cultures," he says, "and I get an overall sense of professional development beyond the confines of the classroom through co-op."